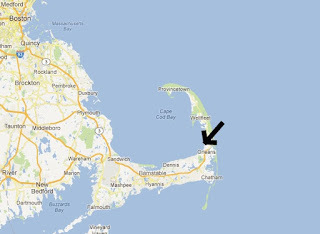 Last Friday I took an early morning (more like late night) ride to Cape Cod, Massachusetts with Andy Griswold and Phil Rusch. 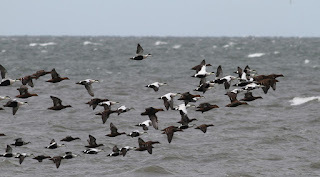 Our destination was First Encounter Beach in Eastham, a site well-known for seabird watching under specific conditions. 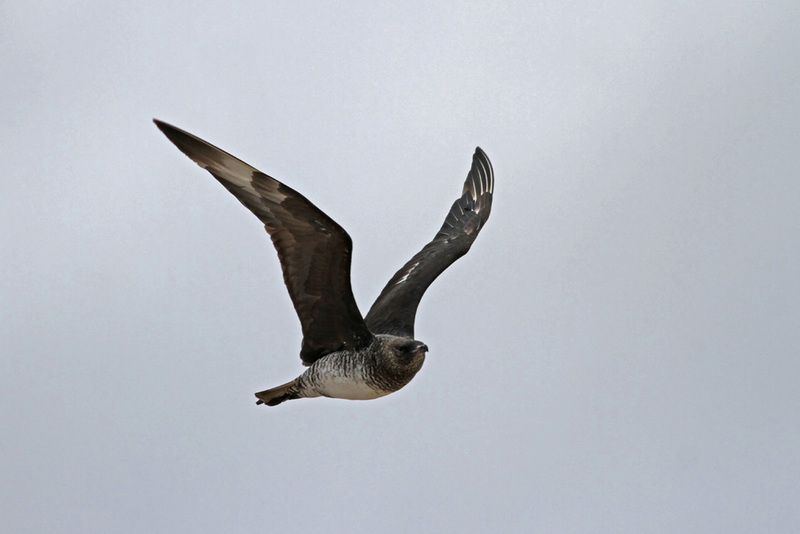 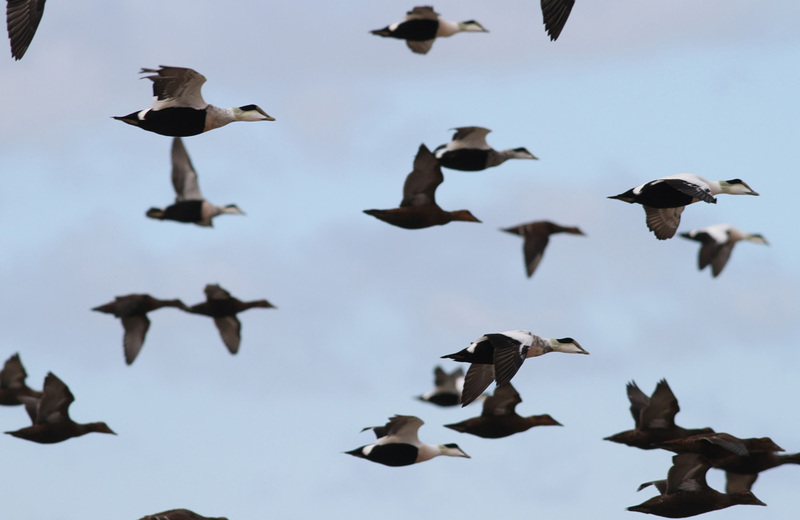 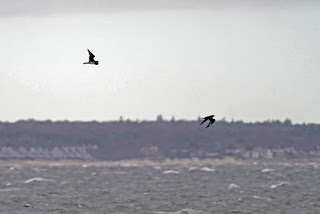 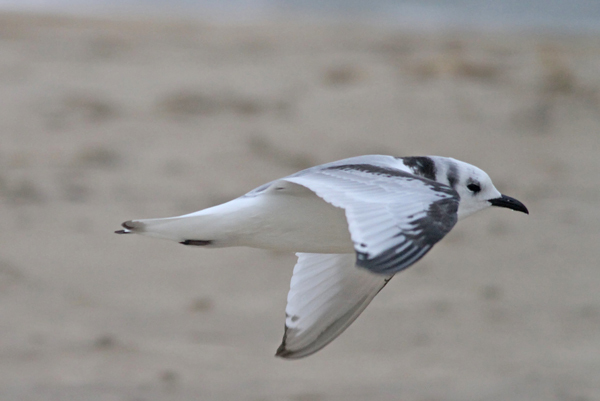 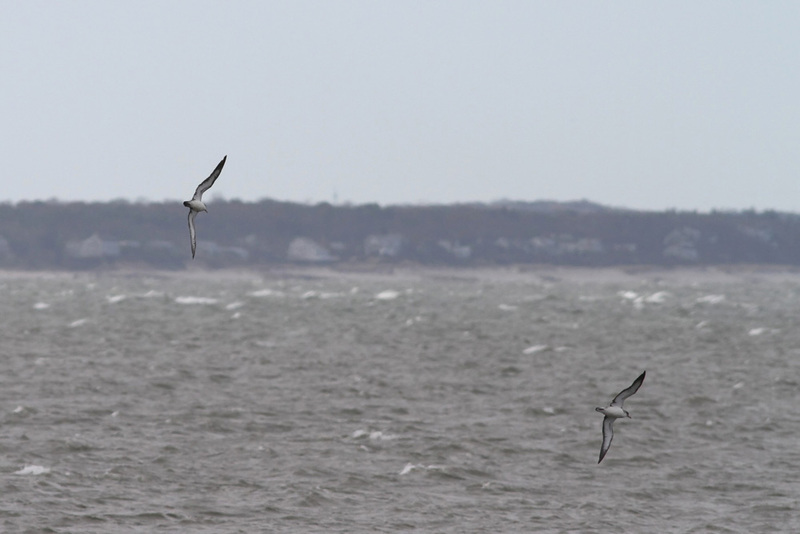 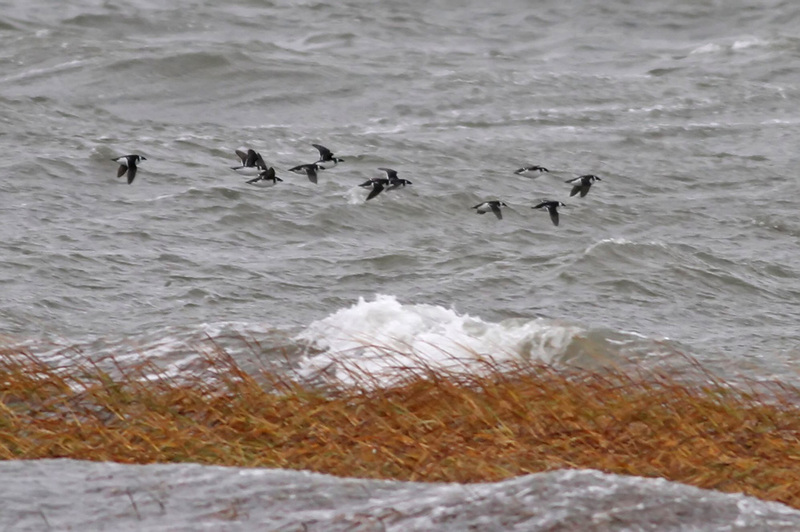 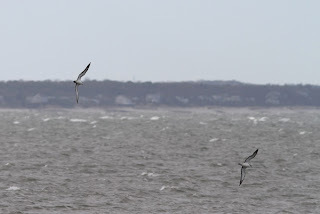 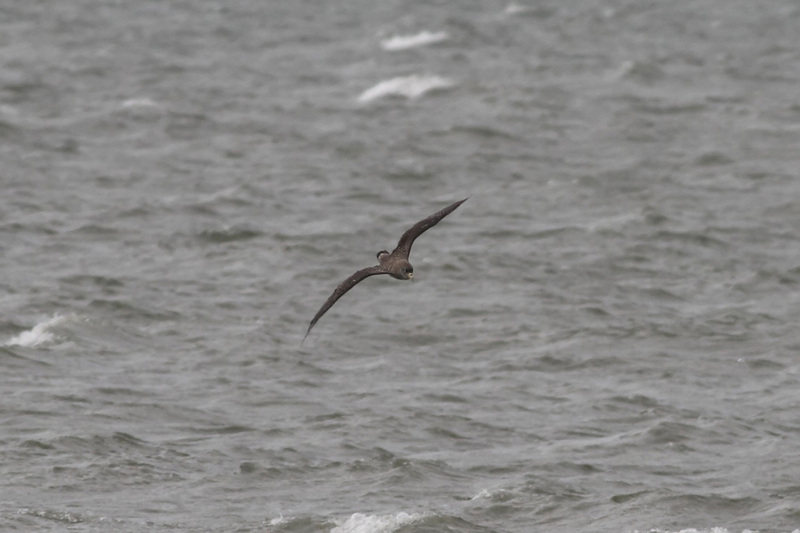 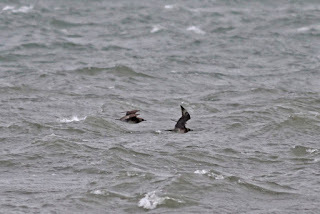 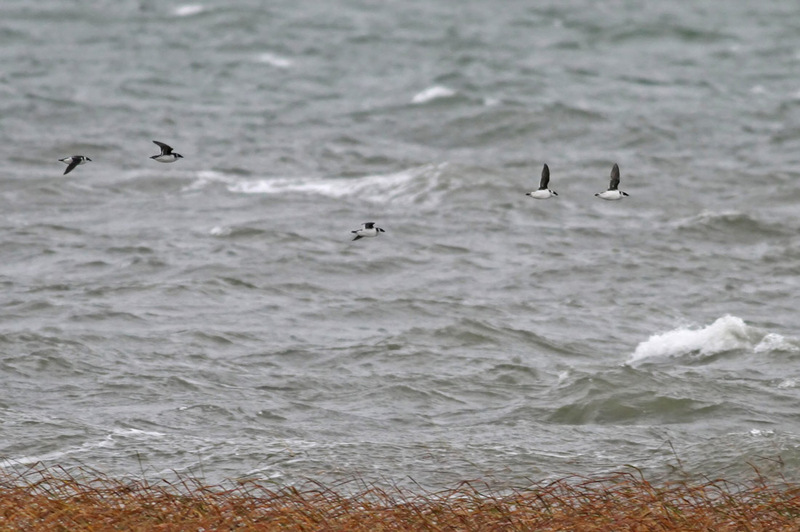 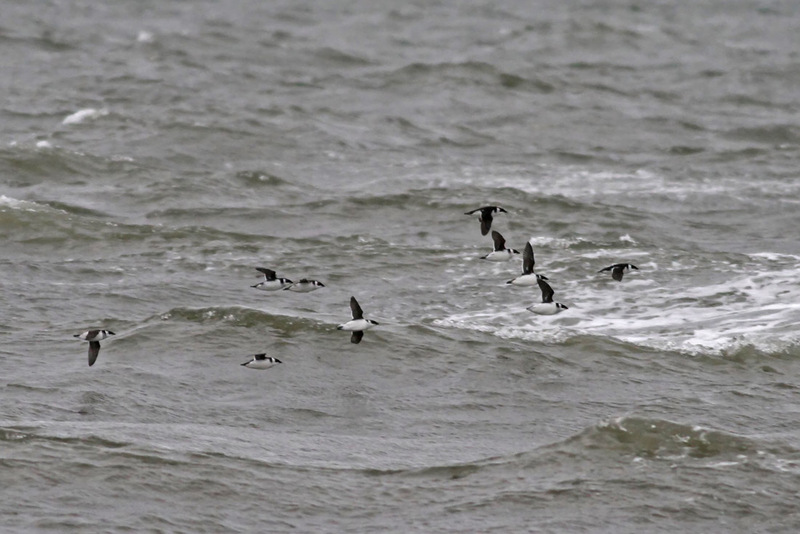 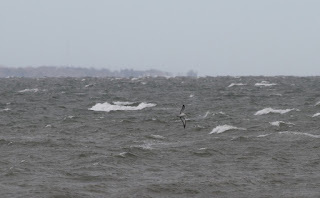 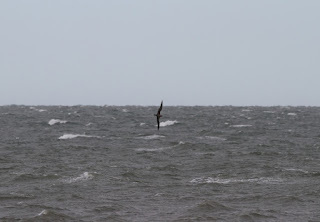 On prolonged NE winds, seabirds are pushed from the open Atlantic Ocean into Cape Cod Bay, particularly during late autumn when birds are migrating south in big numbers. 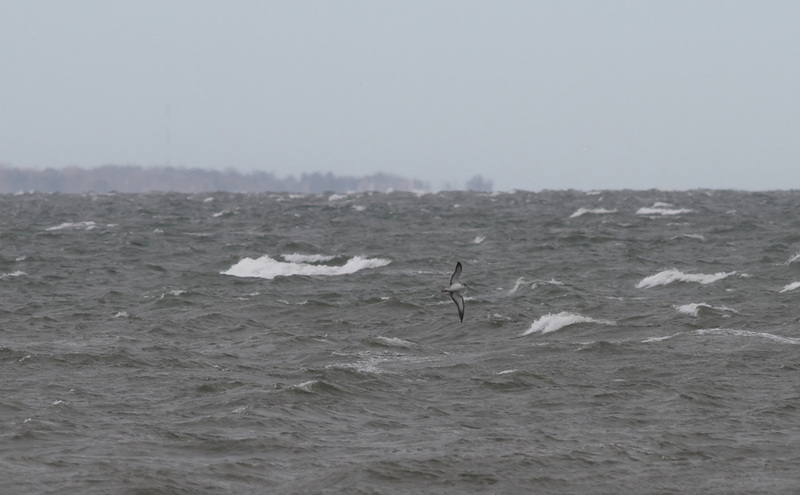 On the heels of a nor'easter, like the one that affected the area on 7-8 Nov, winds usually turn out of the NW as the low pressure system moves away. 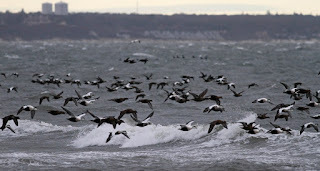 When this happens, those seabirds that were pushed into Cape Cod Bay are directed to the southeastern corner of the bay as they work their way back toward open ocean. 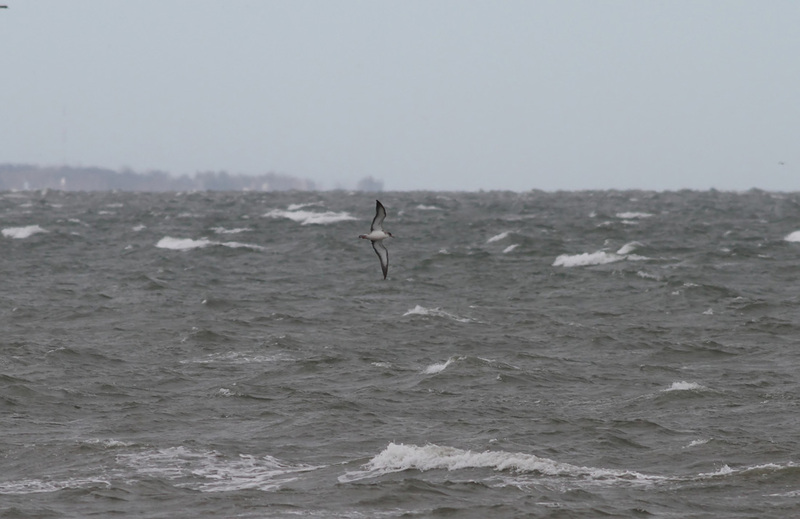 This is where First Encounter Beach is located, and it is these NW winds that can make for an outstanding flight of seabirds as a nor'easter exits the region. The setup for Friday was quite promising - winds shifting from two days of NE to the NW. 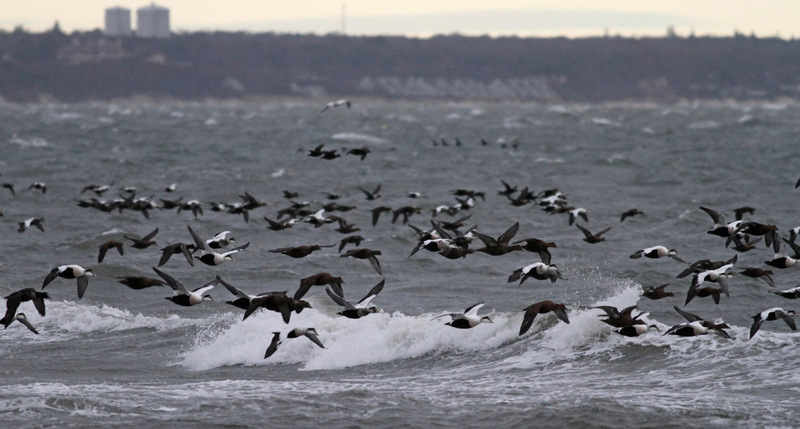 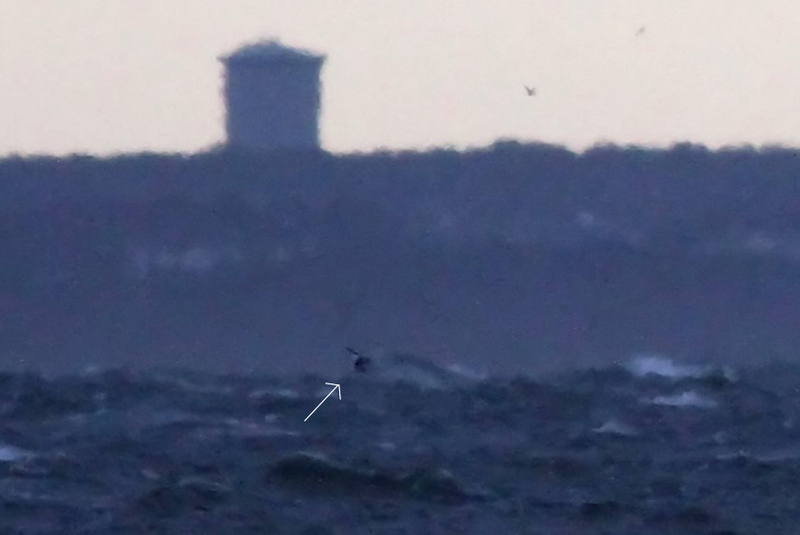 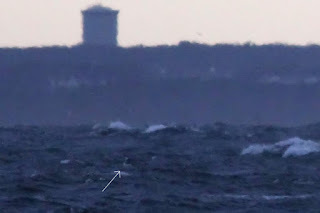 In addition, several thousand Dovekie had already been seen from various eastern Massachusetts points by Rick Heil and Blair Nikula during the storm itself, setting personal single-day records for both of these veteran seawatchers. 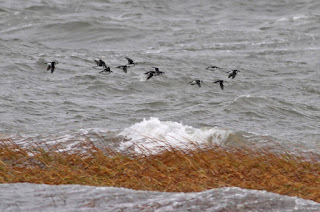 We arrived soon after first light to find many birds moving. 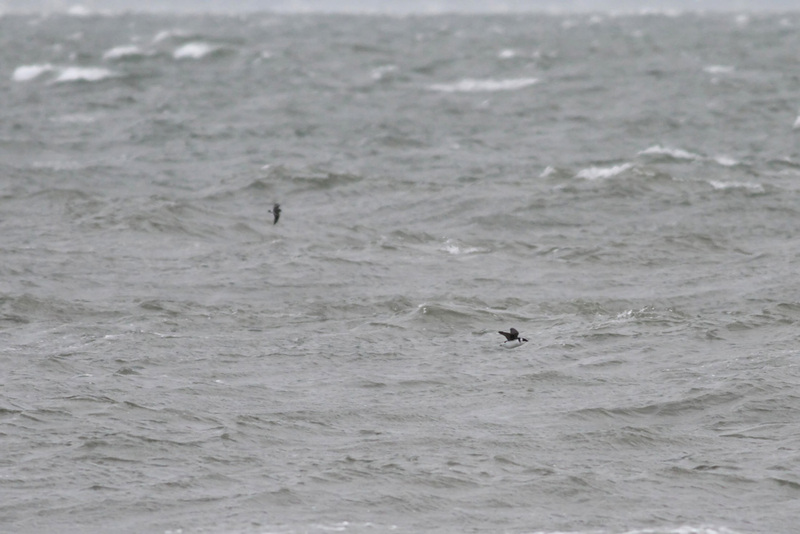 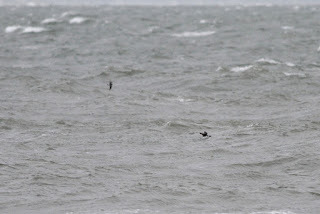 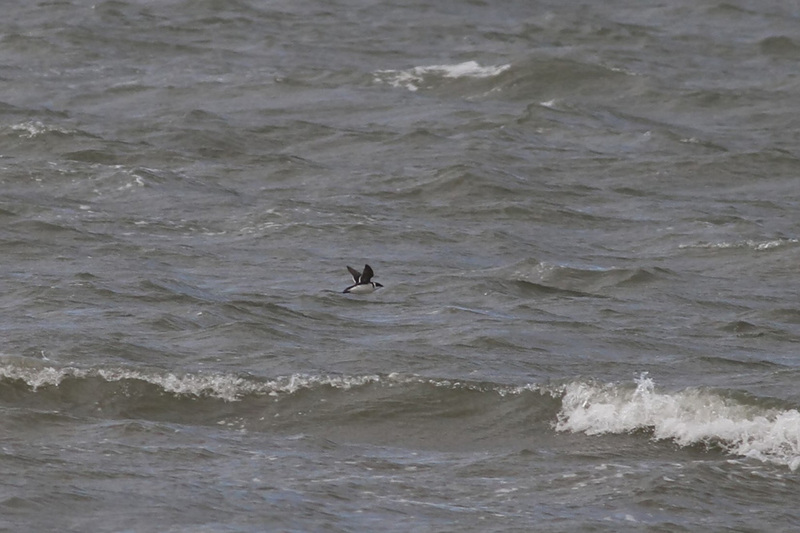 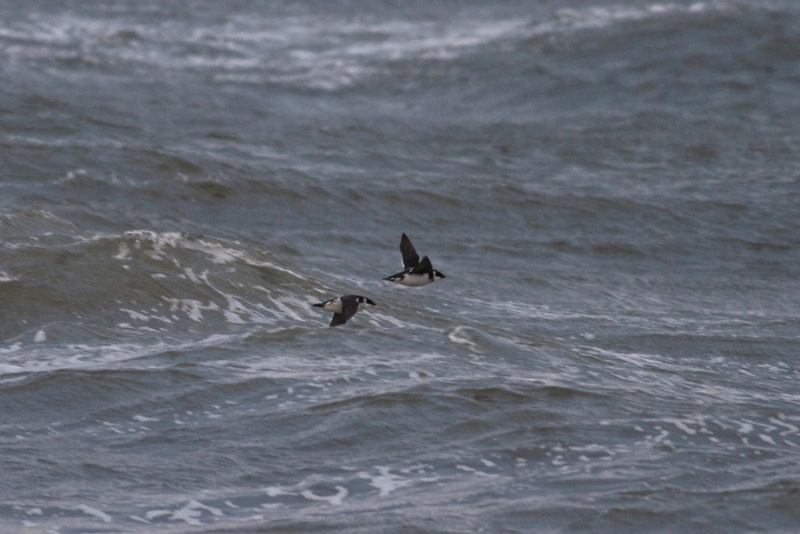 We had our first Dovekie after about 30 seconds of watching, the first of about 400. 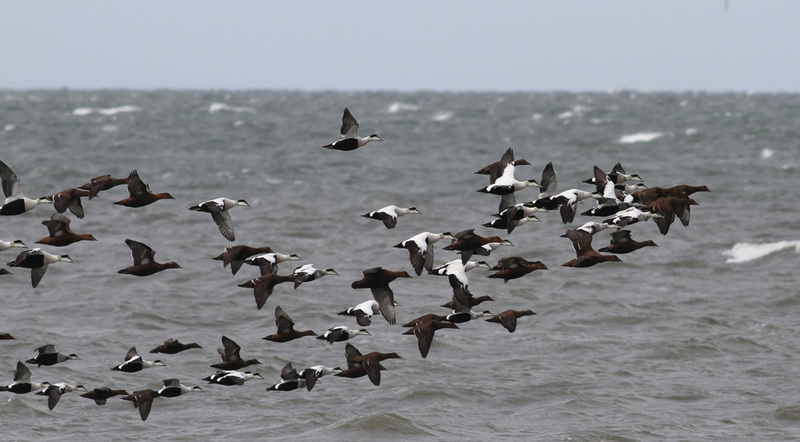 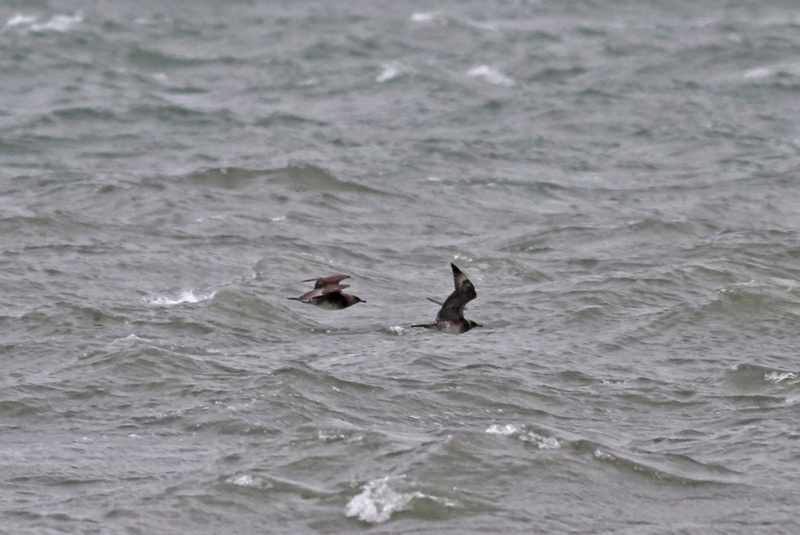 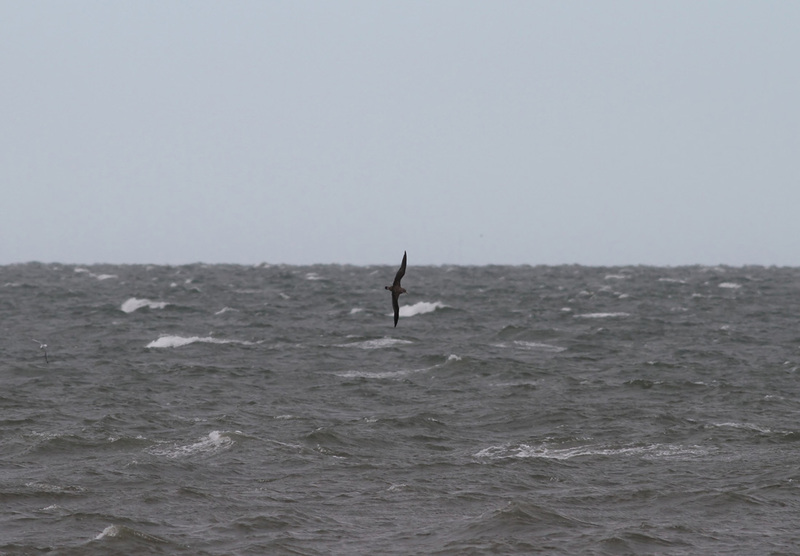 Large numbers of sea ducks, gannets, Red-throated Loons, and kittiwakes filled the stat sheet. 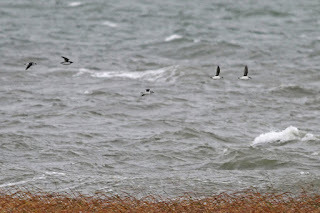 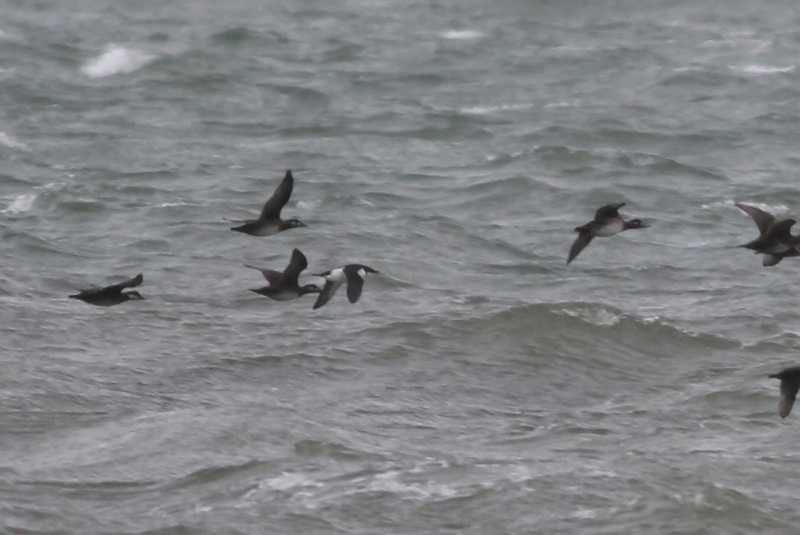 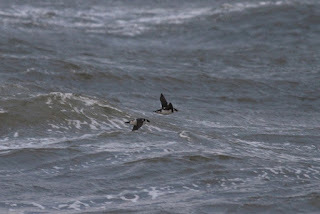 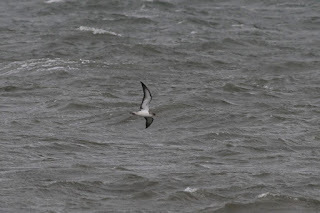 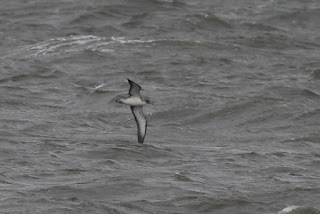 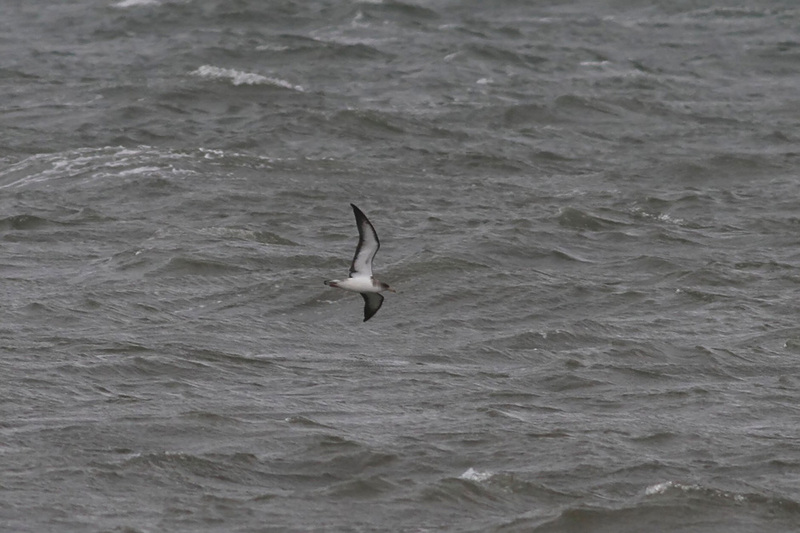 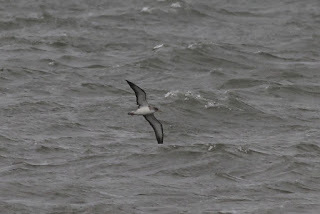 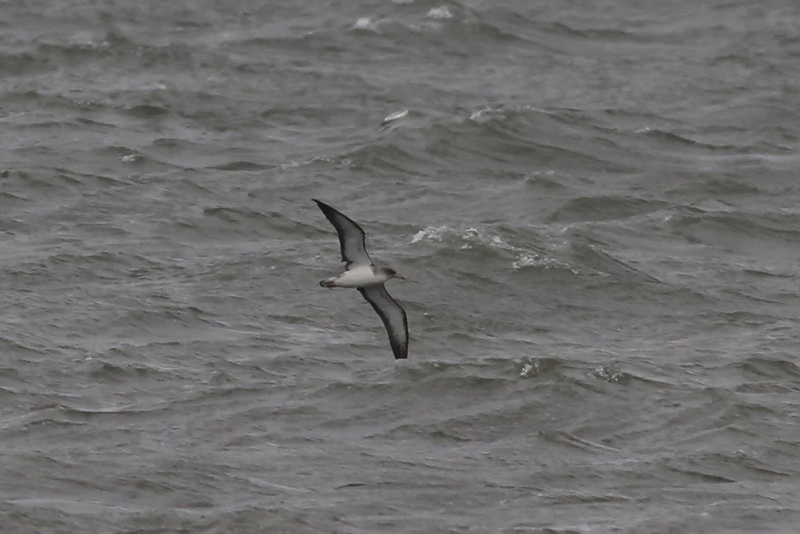 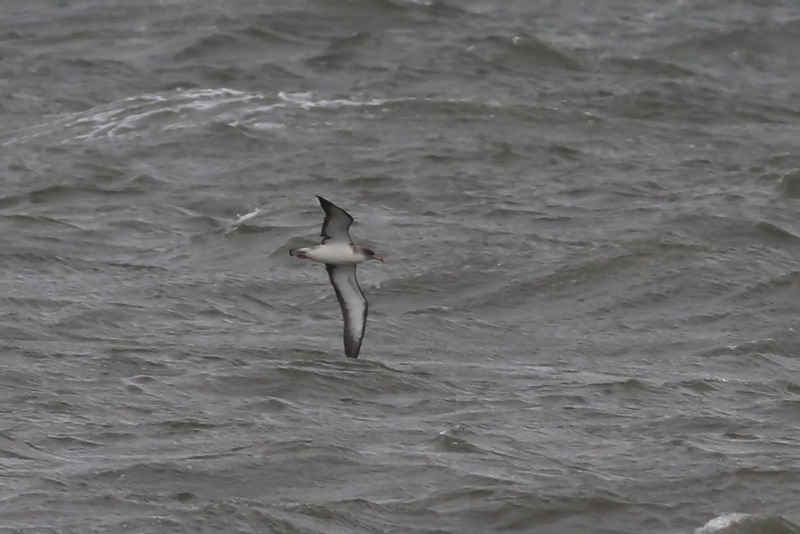 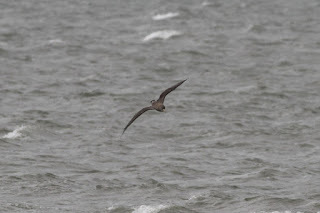 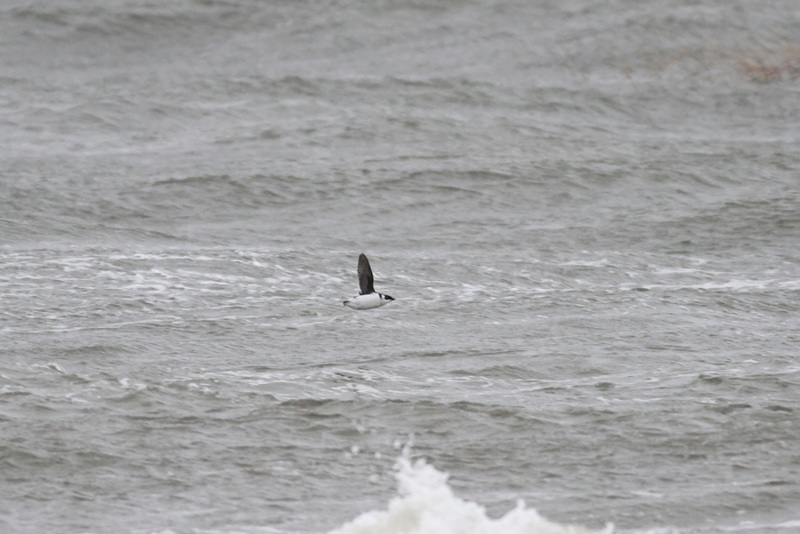 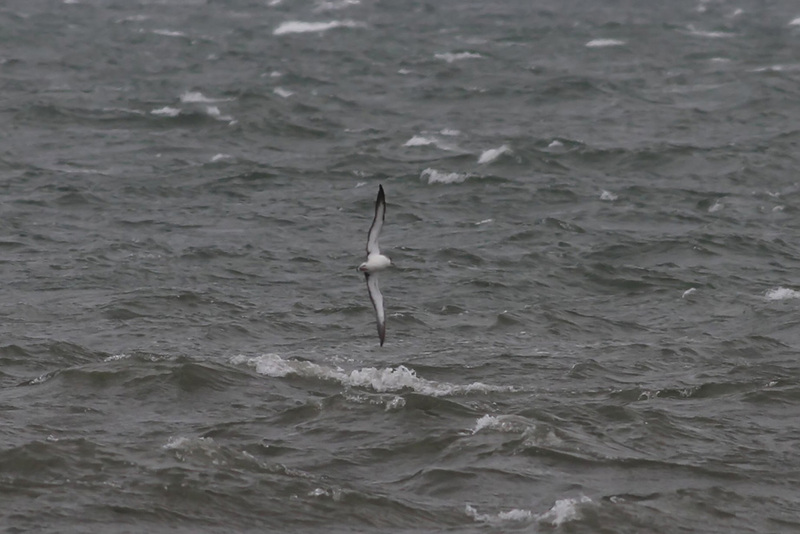 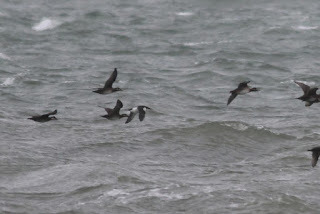 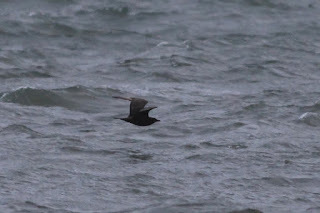 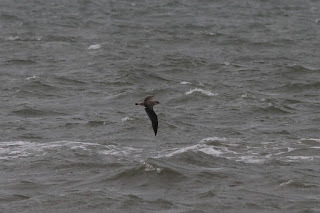 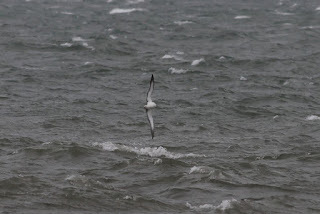 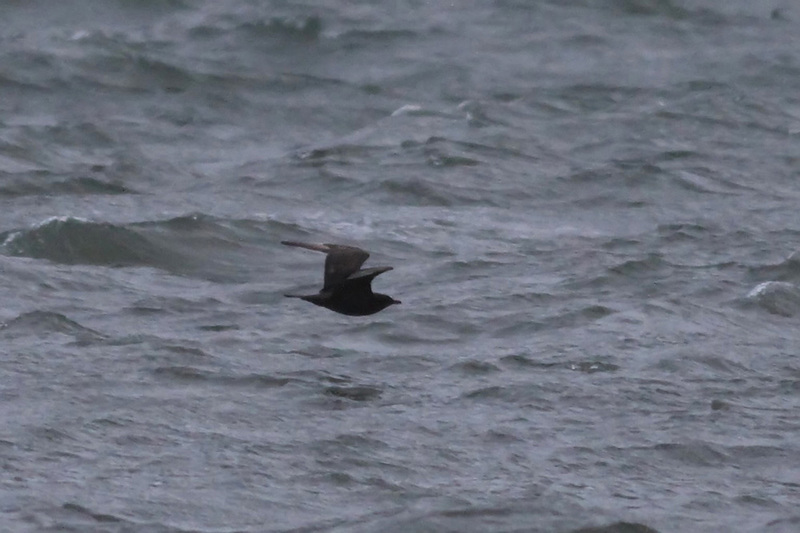 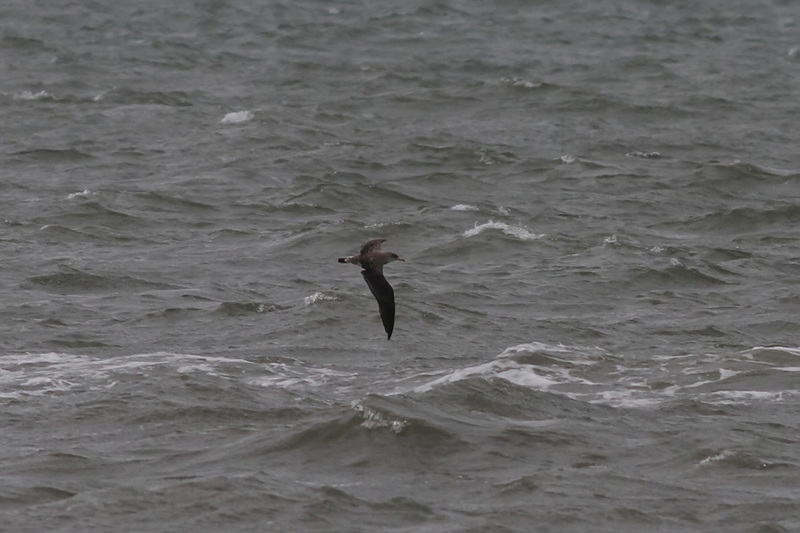 Less common species included Cory's, Greater, and Manx Shearwaters, Leach's Storm-Petrels, several dozen Red Phalarope, nearly 50 Pomarine Jaegers in flocks as large as 10 birds, Thick-billed Murre, and a late juvenile SABINE'S GULL. 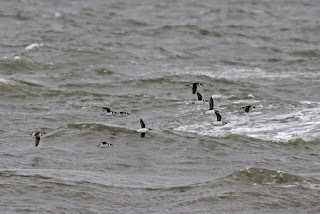 All from the warm comfort of the car, with hot chocolate in hand!! 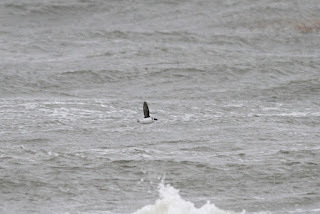 Below are some photos/highlights from the morning.